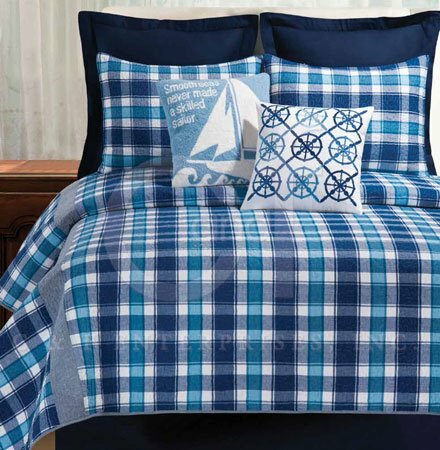 Brice King Quilt is a crisp plaid in shades of blue with white. Binding trim at edges. Cotton Filled, Prewashed, Luxury Oversized. 108" x 92". We offer the complete ensemble in the Brice pattern by C & F.